Sesame seeds have the highest oil content of any oil seed crop and are good energy sources of protein , dietary fiber , minerals and macro nutrients. 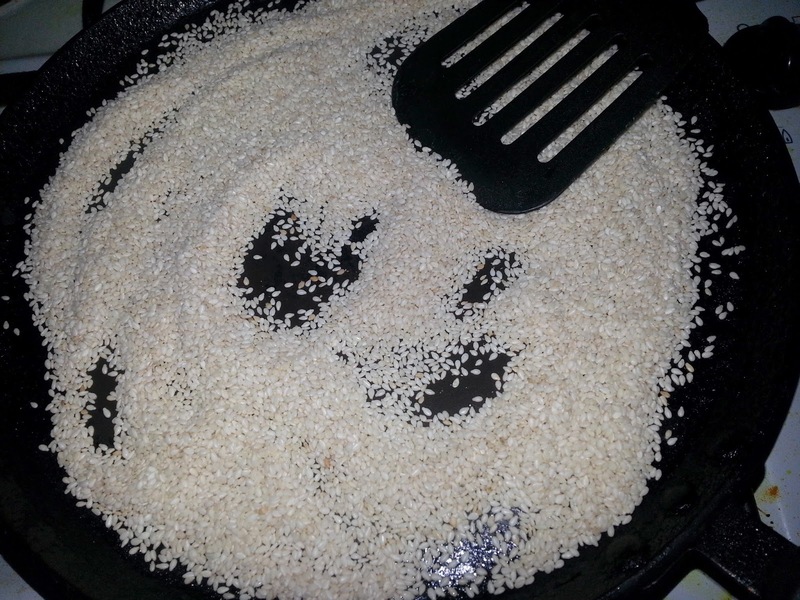 Sesame causes a lot of heat in the body , which is why it is a part of tradition in India to eat Sesame seeds in winter. 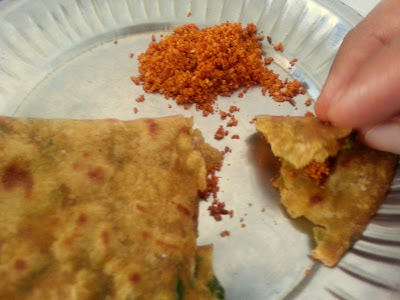 Many sweet preparations are made using Sesame seeds and Jaggery. 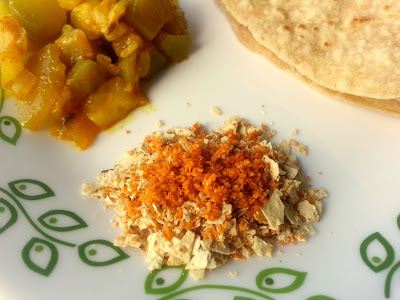 Today i am sharing a spicy dry chutney powder made from Sesame seeds. Roasted Sesame seeds and Cumin seeds are ground with red chili powder and salt. 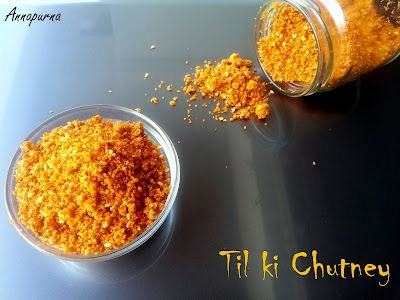 As this chutney has no garlic, hence can be used as a falhari chutney or vrat food. It is served as a side dish along with chapati , poori, or Paratha. In Maharashtra it is often served with plain rice, topped with ghee. In my house we have it with crushed roasted Urad dal Papad. 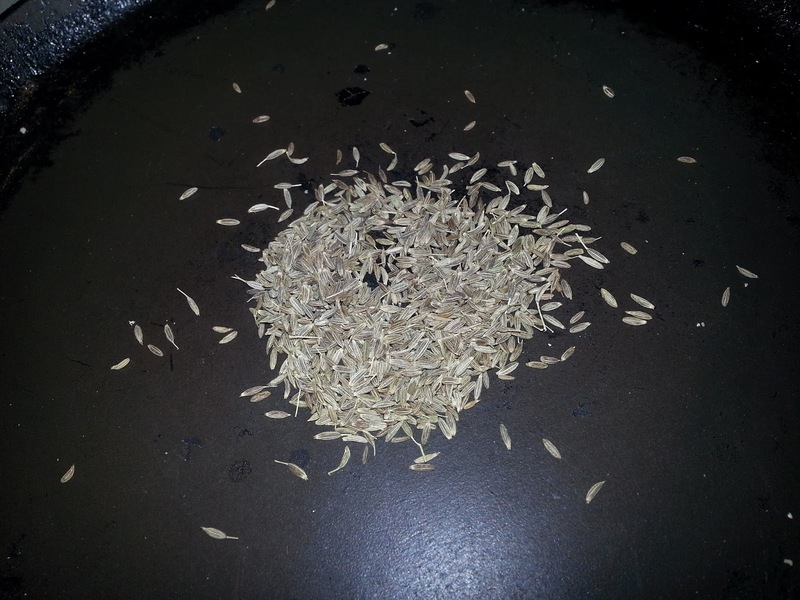 Clean and dry roast the Sesame seeds and Cumin separately on a heated skillet until fragrant. 2. 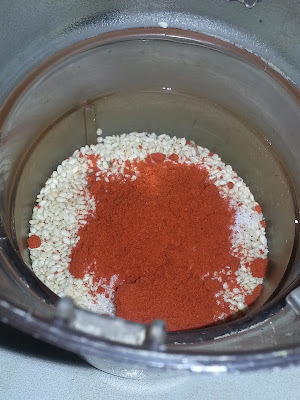 In a grinder jar add the roasted Sesame and Cumin seeds, salt and red chili powder and grind to a coarse powder. 3. Store this chutney powder in a dry container and serve as a side dish with chapati or Paratha. 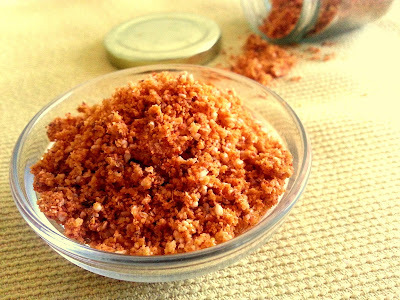 For variations , can add roasted peanuts and garlic while grinding . Just stumbled upon this post. What a super share!